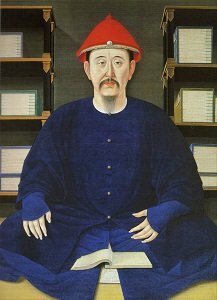 As China entered into the Qing Dynasty, the last of its long dynastic line, it became increasingly challenged by a desire to reaffirm traditional Confucian values in order to preserve its historic agrarian, hierarchical, patriarchal society in the face of the pressures of a rapidly changing world. As the Manchus consolidated their minority rule over the country, they reaffirmed Chinese tradition in order to gain acceptance from the wider Han population. Moreover, the Han Chinese themselves veered toward greater conservatism, feeling that a lapse in Confucian values had been a key cause of the large-scale peasant revolt at the end of the Ming, and of the Han Chinese loss once again of the Mandate of Heaven to foreign occupants. Yet, as China tried to stay still, the world around them was quickly changing. Driving this change was the Industrial Revolution in Europe, which resulted in European powers becoming more assertive in their quest for increased international trade. 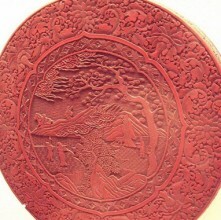 From China, these powers desired porcelain, lacquer ware, silk and tea. While China was willing to engage in limited one-way trade, there was nothing from Europe that China wanted. Eventually, Europeans became impatient with the Qing’s imposed trade restrictions and with their growing trade deficit with China. Taking advantage of their military and technological superiority, the West increasingly forced China to engage in international trade on its terms, much to the significant harm of the country. This Western pressure, along with the challenges of managing significant population growth between the 1700s and the 1900s, eventually brought down the Qing Dynasty, and ended dynastic history in China. Unlike other tribes living outside the Great Wall, the Manchus were not nomadic people, which meant that they had well-established military and administrative machinery that was efficiently spread throughout the country. Where the Chinese people capitulated, Chinese life and culture continued in peace and prosperity. Where the Chinese resisted Manchu rule, their population was looted, raped, and killed. After years of rebel peasant riots, many scholar-officials welcomed the stability of the Manchus. The one act of subservience required of the Chinese by the Manchus was to adopt the ‘queue’, the Manchu hairstyle in which the front part of the male head was shaved and the remaining hair was worn in a long braid in the back, something which did cause resentment, albeit rarely expressed. It took until 1681 before the last remnants of Ming loyalist resistance to Manchu rule were eradicated. Having taken control of the government in 1669, the Kangxi Emperor of the Manchus, who held the throne for 60 years, was considered to be one of the most effective emperors to ever rule China. As the Manchus made up less than 2% of China’s entire population, the trick for Kangxi was to consolidate his rule in a way that won the hearts and minds of the Chinese people. To this effect, Kangxi recruited committed Chinese officials to the bureaucracy and continued the traditional examination system. Hard-working, and a good judge of character, Kangxi valued and rewarded honesty. Chinese officials who refused to serve the Qing were honored as long as they did not engage in active resistance to his rule. In order to show his respect for Chinese culture, he commissioned the history of the Ming Dynasty, giving those reluctant to serve the Qing directly a way of being involved at court. 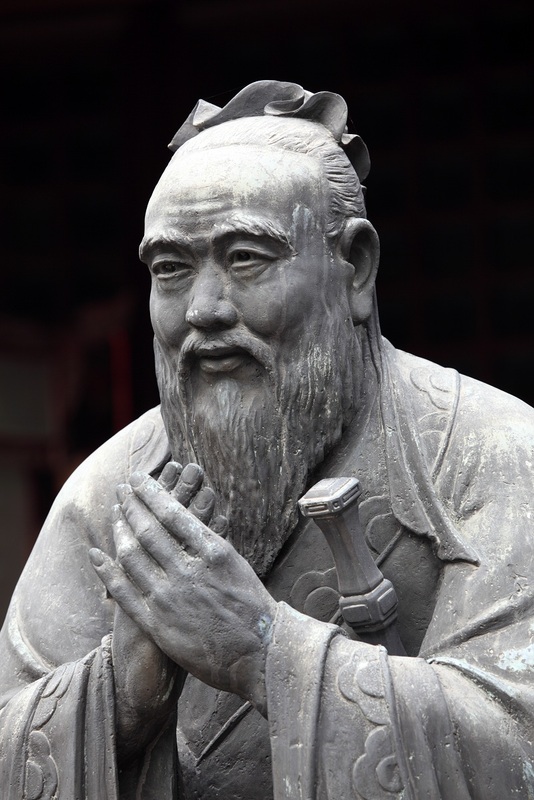 Similarly, he patronized Chinese art, philosophy and poetry, and commissioned everything from the Kangxi Dictionary of Chinese to the Complete Poems of the Tang Dynasty. He also instigated effective tax reform in 1712, replenishing the state treasury and creating a more egalitarian tax system. Kangxi was a conqueror and an effective military leader. As such he successfully extended the Chinese empire northward and westward, creating borders with Korea and Russia which remain largely in place today. 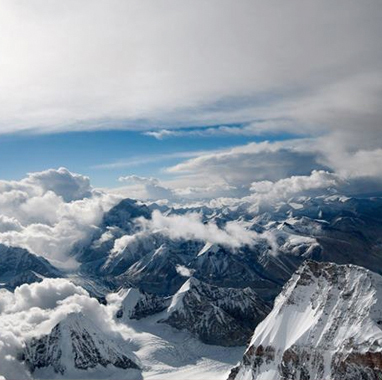 He occupied Tibet and led successful campaigns against the Mongols in Central Asia. 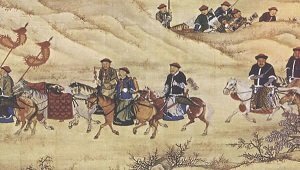 Armed with cannons and other modern weapons, which provided them with military superiority over the Mongolian nomads who had only bows and arrows, Kangxi was able to dominate the steppe, effectually ending 2000 years of defense problems from the nomadic tribes. As a ruler of a now multi-ethnic empire, Kangxi favored Tibetan Buddhism at home, while forming marriage alliances with Mongol princes and ensuring that his court demonstrated moral leadership in terms of Confucian values. Thus, through his political skill sensitivity to his empire’s diverse cultures, and his genuine dedication to Confucian values, Kangxi was able to bend resentment toward the Manchus into acceptance, which eventually developed into loyalty. Areas such as Tibet and the largely Muslim areas of central Asia were ruled lightly. The local population was permitted to maintain their own religious leaders, to keep their own dietary rules, and to not wear the queue. The Kangxi Emperor was also open to Western learning brought by the Christian Jesuits, who were welcomed at the Qing court. In particular, he was intrigued by their theories of astronomy, calendar calculations, mathematics, geography and military technology. Initially, Kangxi, had a relaxed attitude toward Christianity, and permitted churches to be built in the capital and provinces. 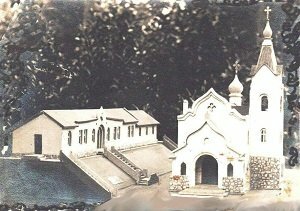 The Jesuits were successful in converting many Chinese to Christianity by drawing parallels between Chinese and Christian traditions. However, when Pope Clement I ruled that Chinese folk religion and Confucian rites were in conflict with Christian teaching, Kangxi banned Christian missions in China, although he kept the Jesuits at court, largely in secular functions. Kangxi was succeeded by Yongzheng in 1736, followed by his son Qianlong. During the 13 years of his reign, Yongzheng undertook a comprehensive reform of the state tax system, changing Qing fiscal policy to deliver a reliable revenue stream at the local and national levels. The historical system concentrated entirely on providing adequate funds for the central state, leaving the administration of regional government expenses entirely up to regional officials, which created much opportunity for corruption. The new system gave local officials an understanding of the funds available to them so that they did not have to personally extract revenue from their populace in order to maintain roads, for example, or to carry out granary construction. Additionally, Yongzheng ruthlessly tried to rid his empire of widespread government corruption. Without Yongzheng’s tax reforms and his improvements to the bureaucracy, the prosperity of Qianlong’s reign would not have been possible. Qianlong was emperor for 60 years, fulfilling a promise to abdicate one year short of his grandfather’s record 61-year reign in a gesture of filial piety, though he continued to retain effective rule until his death four years later. Qianlong consolidated Qing rule in Tibet, extended Qing control further west into Mongol regions of Chinese Turkestan – today’s Xinjiang Autonomous Region – effectively creating the borders of today’s China. Like his grandfather before him, Qianlong presented different images to the varied ethnic groups within his empire. 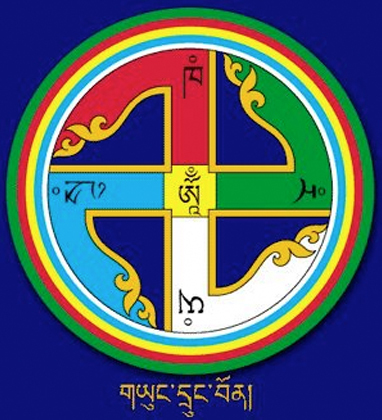 To the Tibetans, for example, he established himself as the reincarnation of Manjusri, one of the most important bodhisattvas of Tibetan Buddhism. To the Han Chinese, he was a scholar and patron of Chinese learning and art. For instance, Qianlong created an enormous art collection of jade, ancient bronzes, seals, paintings, calligraphy, and ceramics, making him a great preserver of Chinese cultural heritage. Additionally, two of China’s greatest novels were written during the 1700s: Unofficial History of the Scholars and The Dream of the Red Chamber. More importantly, Qianlong commissioned the Complete Works of the Four Treasures which was to contain a copy of every significant work ever published in Chinese, and which was the largest single publishing project in Chinese history. Begun in 1772, the Four Treasures took 20 years to finish. The four treasuries covered the major categories of traditional Chinese knowledge: classics, history, philosophy, and literature. A total of 13,254 books were collected throughout the empire, and thousands of scholars were engaged in the endeavor. Over four million pages were recorded by thousands of copyists. Even to this day, the Four Treasures remains a valuable resource for academics. Just as importantly, from the Manchu perspective, the Four Treasures enabled the Emperor to carry out a countrywide campaign of censorship that lasted from 1772-1788. All books gathered were examined. Any that held sensitive or offensive anti-Manchu sentiments were delivered to the court. Even books chosen for inclusion in the Four Treasures went through censorship, sometimes having parts rewritten or passages deleted. Problematic scholar-officials could be charged with sedition or other crimes by using, as proof, poems or articles selected from the body of work they had provided to the Emperor from their own libraries. Largely ignorant of European expansion and the accompanying slave trade throughout the 15thto 18th centuries, the Chinese came under increasing pressure from the British at the beginning of the 19th century, as their demand for tea, silk, and porcelain caused the British to seek more open trade relations with the Chinese. 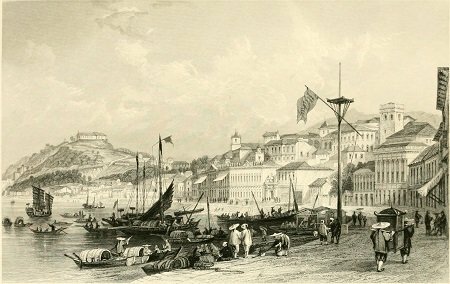 The Portuguese were the first to establish a permanent trading post with China in 1557, in Macao. In 1684, Kangxi allowed four cities, including Canton (Guangzhou), to do business with foreign traders. By 1757, the emperor had scaled those four cities back to just Canton. Additionally, he limited trading to the winter months. He also insisted European traders reside in special quarters along the banks of the Pearl River, outside Canton’s city walls. These quarters were known as the thirteen factories, with factory being used to mean a trading house. The thirteen factories remained the principal center for Western trade until the First Opium War in 1839. Europeans, especially the British, developed a taste for tea. As tea imports rose, the British became frustrated with Sino-British trade for two reasons. Firstly, the British began running a significant trade deficit with China. Secondly, the East India Company increasingly balked at the trade limitations imposed by the Canton system. The East India Company thus petitioned the British government to send a diplomatic mission to China to negotiate better terms of trade. This mission was dispatched in 1793 and led by Lord Macartney. From the British perspective, this mission was unsuccessful. All requests from the British regarding the development of trade, the dispatching of an ambassador to Peking, and many other matters were refused. Distracted by revolution in continental Europe, Britain did not respond to China’s rebuff until the French threat had been resolved. The Chinese had no desire to engage in active international trade. Furthermore, at the end of the 18th century, China still believed itself to be the world’s dominant power. With the exception of the 1689 Treaty of Nerchinsk, which determined the border between the Russian and Chinese empires, China had never engaged in equal diplomatic relations with any foreign country, and saw no need to begin with Britain. To some extent, the poor results of the diplomatic effort were also caused by cultural misunderstanding. Lord Macartney refused to kowtow to the Emperor as was the tributary’s custom, upsetting court protocol. Additionally, the carefully chosen presents by the British that were to be given to the Emperor on the occasion of his birthday, which represented the latest in European scientific achievements and craftsmanship, and which were to provide a basis for trading relations in the future, also offended both the emperor and the court. The emperor, while secretly treasuring the gifts, dismissed them as worthless baubles. Tributary states were to present the Emperor with token gifts. In turn, the Emperor was to present the tributary states with more valuable presents. By the end of the 18th century, signs of dynastic decline were evident. A surge in population put enormous pressure on food production. China became increasingly dependent on sweet potato and maize crops that could grow on drier, less fertile, soil. Multiple harvesting, particularly in the rice-growing south, became more commonplace. Yet more effective use of land and new crops alone were not sufficient to cope with the rising population. The government thus supported migration within the country, moving people to more remote areas such as Xinjiang. Having Han Chinese peasants emigrate to basically non-agricultural land altered the nature of the local economy and the local way of life. 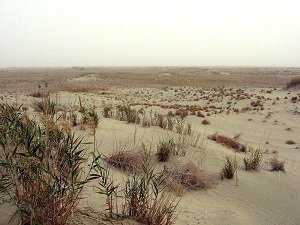 Deforestation and over-cultivation of grasslands for agriculture significantly damaged the already fragile environment, increased the process of the desertification in Northwest China, and deepened the problem of water scarcity. Han relocation also had serious political and social consequences, as local populations were forced to compete with Han Chinese for land and other resources. Furthermore, tax revenues did not keep pace with the surge in population. Compounding the insufficient tax harvest was a spectacular case of embezzlement. One of Qianlong’s favorite bodyguards, Heshen, embezzled millions of ounces of silver from the treasury. 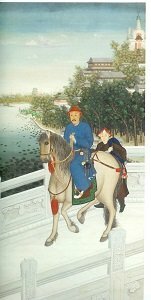 Heshen was arrested the day after Qianlong died; his stolen wealth was said to have equaled half the value of the entire treasury. This theft and the inadequate tax collection, coupled with continuous military expeditions, financially crippled the Dynasty by the beginning of the 19th century. Additionally, by the end of the 1700s, China was again plagued by peasant revolt, under the same White Lotus banner that had harassed the Mings. As soon as the British had overcome the Napoleonic threat, it once again turned its attention to its growing trade deficit with China caused by its large imports of tea as well as of silk, porcelain and lacquer ware. 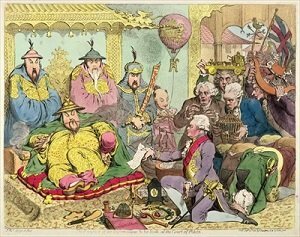 The East India Company petitioned King George III to dispatch a second delegation to China to negotiate improved trade terms, but China again resisted British exigencies. Britain’s solution to this impasse was to export to China opium grown on its plantations in India. When smoked, opium proved highly addictive, relieving boredom along with physical and mental pain. By the mid-1820s, the success of the British strategy was apparent as its trade deficit turned to surplus. By the 1830s, approximately nine million taels (a tael equals 38 grams) of silver were flowing out of China annually and it was importing up to 13,000 chests of opium, enough to sustain the addiction of about 2 million Chinese. The British skirted Chinese laws forbidding opium trade by exporting the drug into China through smuggling networks. In 1839, the trade commissioner Lin Zexu determined to suppress the opium trade. Lin arrested 350 Western traders and confined them into their warehouses until all their opium inventory was given to his officials. Ultimately, Lin destroyed more than 20,000 chests. The British retaliated by sending an armada of warships to fight the Chinese. 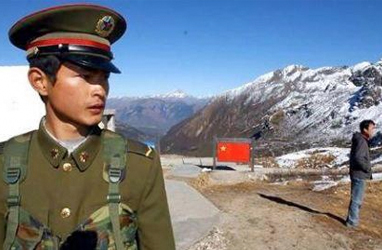 Outclassed by Western military technology, the Chinese were soundly defeated. Having no choice but to surrender, the Chinese signed the Treaty of Nanjing which forced China to pay an accumulated $21 million dollars of war reparations, to cede control of the island of Hong Kong to Britain in perpetuity, to open four new coastal cities to British trade, and to treat Britain as an equal country in diplomatic negotiations, in contrast to the way all Chinese dynasties had operated previously. In a supplementary treaty, China was made to fix its tariff rates on its trade with Western countries at 5%, to exclude Westerners from prosecution under Chinese law under (what was to be termed extraterritoriality), and to allow Britain to also have any new privilege gained from China by other foreign powers under a Most Favored Nation clause. The opium trade continued unhindered. In Chinese eyes, Britain’s actions were a case of the morally repugnant imposing its will on those in China trying to do the right thing. This moral dimension to the war made it more politically and psychologically difficult for the Chinese to adopt any aspects of Western civilization, even when it became increasingly obvious that without western technology, China would never regain control of its country. 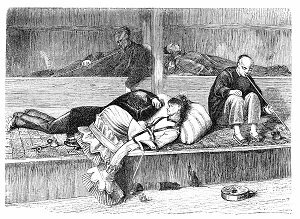 Between 1858 and 1860, a Second Opium War broke out when Chinese officials boarded the Hong Kong-registered boat The Arrow, and arrested twelve Chinese suspected of smuggling. 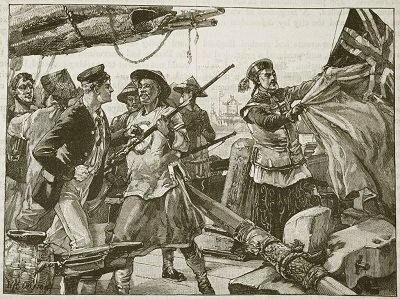 The British demanded their release as the Chinese vessel was registered in Hong Kong and, thus, protected under the Treaty of Nanjing. The Qing government insisted the Chinese sailors were pirate smugglers and refused to release them. In retaliation, the British, requesting the help of the French, Russians and Americans, readied for war. While the United States and Russia supported Britain, they did not go as far as sending military aid, but the French did join forces with the British. The British and French launched the Second Opium War by capturing Canton, modern day Guangzhou, and maintained control of the city for four years. They subsequently invaded Beijing, burning the Emperor’s Summer Palace and imposing further so-called “unequal treaties” on the Qing. The 1860 Treaty of Tianjin stipulated the opening of a total of fourteen treaty ports to Western trade, ceding further land in Kowloon to the British, indemnities of eight million taels of silver to France and Britain, the right of Western diplomats to reside permanently in Beijing, and the freedom of religious institutions to be established in China. After 1860, Westerners assumed control of the complete administration of China’s taxes on trade and commerce, making the Qing Empire in effect a semi-colony of the West. At the same time, Russia forced China to revise the 1689 Treaty of Nerchinsk, which gave Russia the right to establish a port on the Pacific coast, where it founded the city of Vladivostok in 1860. The Russians also insisted that the Qing sign the Supplementary Convention of Peking in which Russia gained a further 4000 square miles of land from China. Compounding Qing dynastic troubles were further internal rebellions. Taxes were paid by peasants in copper, which had a fixed exchange rate with silver. 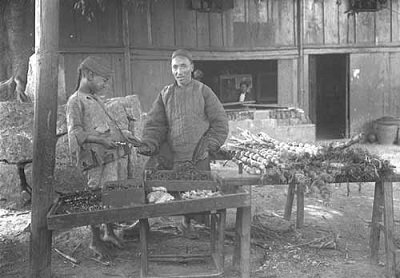 As China began exporting growing quantities of silver to pay for its opium imports, the exchange rate between the copper of the peasants and the silver of the tax collector rose, making it increasingly difficult for the peasants to pay their taxes. This rising tax burden, coupled with famine, population pressure, scarcity of resources, and government corruption sparked a series of rebellions throughout China. The Nian Rebellion (1853-1868) was caused initially by the bursting of the Yellow River’s banks in 1853 and 1855, causing widespread flooding and loss of life. Because of its reduced finances, the Qing court was unable to respond to the disaster with sufficient financial and human aid, causing wide spread revolt. 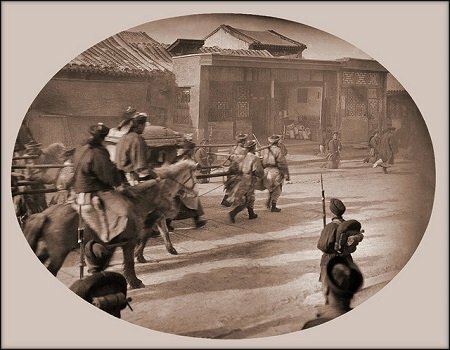 The Panthay Rebellion (1856-1873) began in Yunnan province as a result of fighting between Han Chinese migrants and the native Hui (Chinese Muslims) over access to mining resources. The Muslim Rebellion (1862 -1877) erupted in the Xinjiang, Shaanxi and Gansu provinces over continued minority resistance to Han Chinese territorial infringement. The largest rebellion during this time, however, was the Taiping Rebellion (1850-1864). In 1850, a failed examination candidate from the Hakka minority group in South China, Hong Xiuquan, had visions during a nervous breakdown which convinced him that he was the younger brother of Jesus Christ. Hong advocated surprisingly modern policies including the abolition of private property, the promotion of a classless society, the advancement of equality between men and women, the suppression of foot binding, and the eradication of opium use. 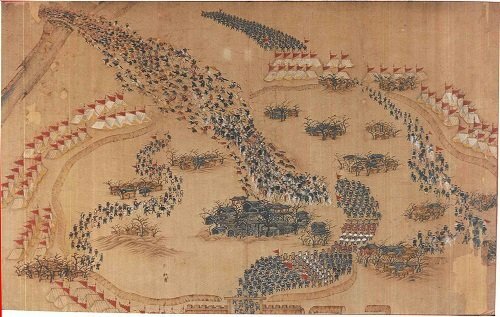 He quickly amassed a dedicated army of peasant followers who, by 1854, had occupied Nanjing, which they proclaimed to be the capital of their new Heavenly Kingdom. By 1855, Hong was within 20 miles of Beijing. At first, Western missionaries were elated at the thought of a Chinese Christian uprising. Yet Hong’s unorthodox Christianity and his opposition to opium were eventually determined to be a threat to Western interests. 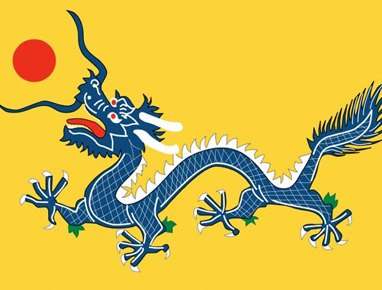 The Qing rallied the government Banner Forces (so named because of the particular flags under which they operated) to put down the rebellion, but by this point the Banner Forces were so ill-trained that they proved ineffective. The Qing Court then had no choice but to disperse power to regional Chinese officials who recruited their own armies from their own home districts. Allowing the amassing of regional armies had historically proved very dangerous to a dynasty’s longevity, and that the Qing court was forced into this strategy was good evidence of its weakness. An estimated 20-30 million died during the rebellion. By the end of the 19th century, in the face of constant foreign incursions into its territory and infringements of its sovereignty, the Qing Dynasty began a program of self-strengthening. In many ways, the basic idea of this program was a modified version of the traditional yiyi zhiyi (“use barbarians to control barbarians“), although in this case it was more of an instance of using barbarian technology to defeat barbarians. 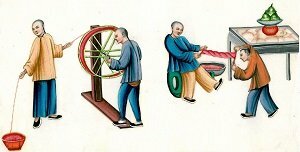 Reformists argued that China should employ Western technology such as railroads, modern weaponry, steamships, and telegraph lines in order to modernize China, while learning Western languages in order to gain access to Western technologies. Conservatives at the court argued that such policies would lead to the abandonment of traditional culture for modern barbarism. Reformists countered that China would maintain fundamentally Confucian and Chinese in culture, only using the Western technologies to arrest Western incursion into Chinese territory and Chinese sovereignty. Yet despite reformists’ enthusiasm for change, few understood the rapidity with which Western science was developing improved technology, or that up-to-date weapons alone would not be enough to defend China without modernized training and leadership. What was true was that knowledge of the West was gradually improving. 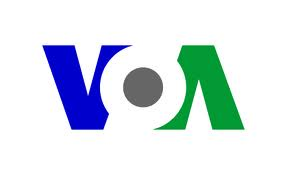 Modern newspapers, with up-to-date coverage of world affairs, began to appear in Shanghai and Hong Kong. Information was also acquired through visits abroad. By 1880, China had embassies in London, Paris, Berlin, Madrid, Washington, Tokyo and St. Petersburg. At the heart of the Chinese challenge was the fact that no Qing Emperor of the 19th century was very capable, although even an extremely able emperor would have struggled to meet the twin challenges of internal rebellion and external aggression. 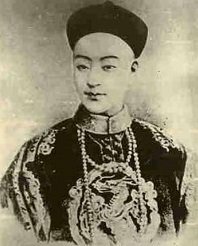 The lack of effectiveness of these emperors was compounded by the rise of Empress Dowager Cixi, who entered the Qing court as a low ranking concubine. From 1860 to her death in 1908, she held more power and influence in Chinese politics than had any woman since the Tang Empress Wu. Modern Chinese historians have often blamed the Empress Dowager for promoting her own interests at the expense of the Chinese people. What is true is that she resisted all early self-strengthening reforms which risked undermining the power of the palace. Also at the essence of Qing’s challenge was China’s huge population surge. In 1800, China had about 300 million people, compared with Russia’s 40 million, Japan’s 30 million, and Britain’s 11 million. From 1800 to 1850, China’s population increased to 400 million. The population explosion had repercussions for every aspect of Chinese life. Villages and towns grew closer, farms grew smaller, deforestation accelerated, and labor was in surplus, suppressing wages and escalating the competitiveness of everyday life. 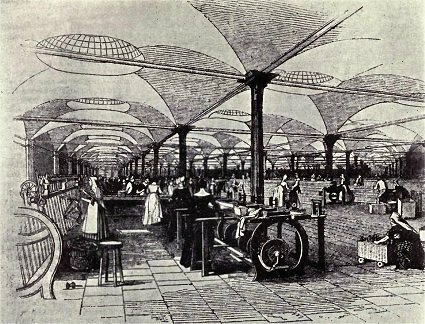 Until the end of the 18th century, these processes were, to a large extent, beneficial, as they fostered regional development and commercialization. Yet, by the dawn of the 19th century the negative consequences of China’s population explosion were becoming more pronounced. Chinese surplus labor would work at industries now industrialized in Europe at such low rates that urban factories could not compete, which in turn impeded China’s industrialization. Additionally, the rise in population exacerbated social tensions, as conflicts over water and other resources surged with population growth, and disputes between ethnic groups, lineages, or villages became common. Hard times also led to the rise of female infanticide, leading invariably to a shortage of marriageable women, which in turn reduced the incentive for young men to stay near home and do what their elders told them. Those who left often joined roving gangs or immigrated to the cities to search for work as boatmen, porters, sedan chair carriers, and rickshaw pullers. Millions of Chinese chose to emigrate from China completely, heading primarily to Southeast Asia, but also to the US and Europe. In Buddhist countries like Thailand and Vietnam, the Chinese often assimilated, intermarrying with the local population and adopting their language and customs, while in Muslim countries and in the US, Chinese immigrants often chose to live independently from native populations. Those that did not assimilate often organized themselves into voluntary associations such as Triads, as local authorities preferred to let the Chinese govern themselves. The first sign that China’s reforms had not strengthened China sufficiently to repulse foreign aggression occurred when it was defeated in 1885 in war with France over Vietnam, a traditional tributary state. More humiliating, however, was its defeat to Japan in a battle for influence in Korea, another traditional Chinese tributary state. This defeat shocked both China and the West, as China had always viewed Japan as its inferior, and as Japan was a fraction of China’s size. The resulting Treaty of Shimonoseki forced China to cede Taiwan to Japan, to pay Japan 200 million taels of silver, and to recognize the independence of Korea. Fearing China’s imminent collapse, Western nations began pressuring China to grant them special trading, taxation, and other privileges in their own spheres of influence, while jockeying with other Western powers in order to extend their territorial reach. The US, preoccupied elsewhere, did not at first join the dash for concessions. 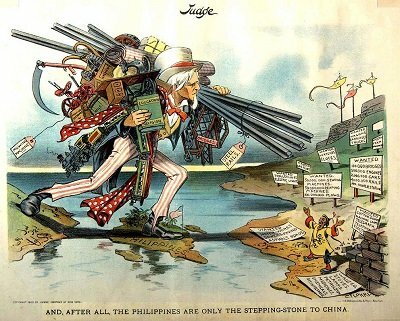 In 1889, however, John Hay, America’s secretary of state, fearing the fragmentation of China, issued a series of Open Door Notes to Britain, France, Germany, Russia, Italy, and Japan, calling on all foreign powers operating in China to allow free trade in all spheres of influence. Eventually, the European powers backed off, not because of Hay’s influence, but because they too feared the break-up of the country. Every country except Russia agreed to the Open Door Policy, although most had no intention of enforcing it. The terms of the humiliating Treaty with Japan were made public when thousands of provincial graduates were in Beijing for the metropolitan examination. In December 1898, Kang Youwei, a Confucian scholar, gained an audience with the young Guangxu Emperor. Spurred by the scholar’s suggestions, in the space of 100 days, the Emperor issued a multitude of edicts designed to thoroughly modernize the country, including introducing Western subjects in Chinese education, eliminating thousands of sinecure positions, attacking government corruption, and embarking on a rapid and intensive program of industrialization and Westernization. Sensing a threat to the conservative dominance at court, the Empress Dowager crushed the reform movement, and effectively imprisoned the Emperor within the Summer Palace. Kang Youwei fled to Japan, and six of his followers were executed. The court sank again into wider inaction, having preserved its own powerful interests. Yet inaction would not remain an option for long. Formed initially in Shandong and adjacent areas in Henan and Hebei, a secret society of peasants and illiterate day laborers emerged. They called themselves the Society of Righteous and Harmonious Fists (known as the Boxers in the West), and eventually amassed thousands of followers. The Boxers practiced martial arts and chanted magic spells that they claimed made them impervious to physical pain and bullets. The Boxers believed that their hardship was caused in large part by foreign aggression. Spurred by the severe drought of the summer of 1898 their growing anger and frustration became directed at “foreign devils” who they determined to expel from China. An obvious target was the Christian missionaries who had moved into many parts of the Chinese countryside by the end of the 19th century. While many missionaries provided the Chinese with social and medical services which brought real benefits to the population, the Boxers nevertheless linked Christianity with the arrival of the same foreigners who spread opium in Chinese society. Aggravating their sense of injustice was the fact that these missionaries lived in walled compounds, were protected by extraterritoriality, and enjoyed higher standards of living than the people to whom they preached. 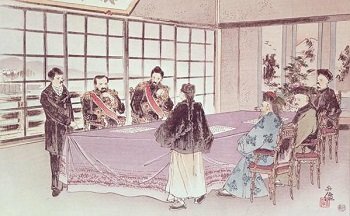 Initially, the Qing court felt obliged to crush the Boxer Rebellion. But by the summer of 1900, the court tried to use the Boxers, whose numbers had swollen to close to a half million, to drive foreigners out of China. An eight-nation invasion force made up of Britain, France, Germany, Italy, Russia, Austria-Hungary, the US, and Japan, rapidly captured Beijing. In 1901 China sued for peace, agreeing to pay 400 million ounces of silver in damages to the Western invasion force. By the time the rebellion was finally put down in September of that year, more than 70,000 Chinese people, including Chinese Catholics, Protestant missionaries, Chinese Protestants, Eastern Orthodox Christians, and other ordinary Chinese were dead. During the fighting, the Empress Dowager fled Beijing disguised as a nun. On her flight into the countryside, she was confronted for the first time with the reality of China’s poverty. After peace had been secured, she finally began to promote the same modernization for which she had imprisoned the Emperor. Specifically, an effort was made to create a Western-style army, armed with Western weapons and trained in Western methods. Another was to continue efforts to build a modern railway system. However, these endeavors were too little, and came too late. Ensnared in an international economic order stacked against latecomers, an order whose rules China had no ability to shape, many Chinese increasingly felt that the Qing Dynasty specifically, and dynastic rule generally, lacked the agility and versatility to successfully negotiate the changing world in which it found itself. In the Qing’s defense, the centralized bureaucratic monarchy, the patriarchal family, and the scholar-official elite, all of whom focused on creating stability through the replication of the agrarian past, were so deeply entrenched in Chinese culture that it took a century of bad news to weaken people’s belief that they represented the best organizational structure for Chinese society. For the first time, many Chinese began to study abroad, primarily in Japan, but also in Western Europe and the United States. Many of these returned to campaign for the deposition of Qing rule. One of these was Sun Yat-sen (generally known in China as Sun Zhongshan, his name in Mandarin Chinese). A Christian, and trained as a medical doctor, Sun Yat-sen became an increasingly called toward politics as China floundered at the beginning of the 20th century. In all, Sun Yat-sen led ten attempts to overthrow the government, each of which failed. However, his tireless efforts to promote revolutionary fervor within China were a catalyst which led to strengthening revolutionary sentiment throughout the country, including that among the officers and troops of the New Army. When the Qing dynasty eventually fell, the end came serendipitously, and as a result of a relatively rapid series of events. 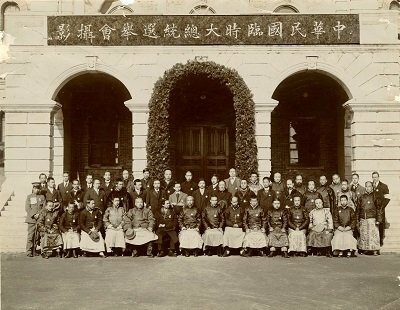 In 1905, when the examination system was abolished as part of the stipulations imposed upon the Chinese after the Boxer Rebellion, a whole segment of society lost their reason for engaging with the government. In 1908 the Empress dowager died, leaving a three-year-old Imperial Prince on the throne, meaning China yet again had no effective emperor. Additionally, the newly constructed railways had been built using foreign funds and were in the hands of foreign companies. Public opinion advocated that these railways should be in Chinese hands. The Qing court attempted to nationalize the railways, alienating many small Chinese investors, while Western powers insisted that they would continue to build railways within their spheres of influence regardless of Chinese national policy. To many, the railroad management issues were just another example that the Qing dynasty lacked the means to deal with China’s worsening domestic and international situation. Revolutionary discontent continued to build. In 1911, in the Chinese city of Wuchang, a group of revolutionaries loosely affiliated with Sun Yat-sen were secretly stockpiling ammunitions for a revolt, when one of the bombs exploded. Realizing that the police were certain to investigate, they declared war on the Qing state and quickly took control of the city. Word of this revolt spread quickly, and many newly trained troops joined the rebels as opposed to fighting for the infant Emperor. Sun Yat-sen read about the rebellion in Denver, Colorado where he had been trying to raise money from overseas Chinese. The Qing Dynasty looked to the top military official in the Empire, Yuan Shikai, to suppress the rebellion. Instead, he effectively negotiated the end of the Qing dynasty. Much to the relief of the revolutionaries, the Qing Dynasty was disposed without China breaking into civil war, and without the Western powers and Japan slicing up the country. For his role in overthrowing the dynasty, Sun Yat-sen agreed that Yuan Shikai could become the first president of the new Republic, which was proclaimed on February 12th, 1912. While the revolutionaries were united in their desire to dispose the Dynasty, they remained at conflict on how the country should be ruled going forward. Sun Yat-sen and his followers organized a new party, the Guomindang (the Nationalist Party, frequently referred to as the Kuomintang or KMT) which they viewed to be a loyal opposition party designed to compete in electoral politics with the followers of Yuan Shikai. Other parties were formed as well, and Assembly elections were held in December 1912. Approximately 40 million men were eligible to vote – those who owned property, paid taxes, and had an elementary school education – about 10% of the population. The Nationalists won approximately 43% of the vote, in an election that succeeded without major incident. 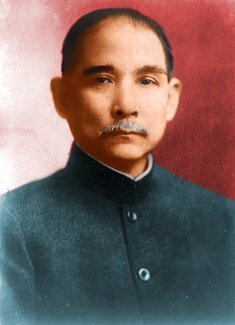 Sun Yat-sen, head of the railroad development, was pleased with the outcome. Yuan Shikai was not. He disliked Nationalist criticisms of his policies and felt that their electoral success threatened his efforts to create a strong central government. In 1913, Song Jiaoren, the Nationalist campaign manager and a Prime Minister-hopeful, was assassinated, probably on the direction of Yuan Shikai. 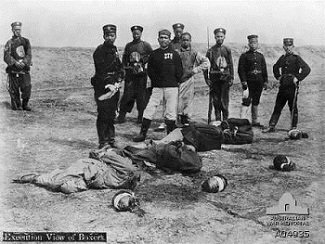 The Nationalist party responded to the murder by calling for Yuan Shikai’s resignation, and soon revolted. Yuan Shikai crushed the revolt, and Sun Yat-sen fled to Japan, once again in exile. 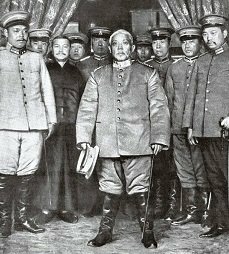 Yuan Shikai supported a strong, modern, industrialized state, but he envisioned that this state would be ruled in dynastic fashion, with himself as Emperor. Yuan Shikai eventually died in 1916 of kidney failure, leaving both a power vacuum and no national consensus about how China should move forward politically. 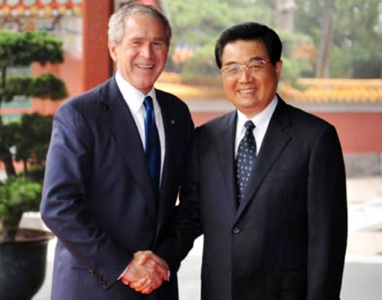 Yuan’s generals began to vie with each other for regional control and power. This began a period of warlordism in China, during which the country was once again fragmented. Themes of Qing history can be seen in evidence in China today. The first is a sense of Chinese culturalism and self-sufficiency. Until the fall of the Qing Dynasty, China had always felt that its rich cultural history was a sufficient source of inspiration from which to develop its foreign policies to deal with barbarians, to provide governmental and societal structure, to manage its economy, and to stimulate its artistic achievement. While always convinced of its moral, economic, and technological superiority – which it indeed maintained for thousands of years – China never felt the need to impose its systems on countries outside its immediate sphere of influence. Today, China engages in the world primarily as a means to promote its own economic development. It no longer makes any effort to promote communist revolution abroad (though it did at various stages of the Mao era) or any other value-based revolution arising from its hybrid capitalist-authoritarian society. While it is true that China is building, worldwide, an ever growing number of Confucian Centers designed to promote the learning of Mandarin and the understanding of Chinese culture, these centers are intended to serve China’s economic interests by creating a better understanding of China, as opposed to exposing a Chinese cultural perspective which it hopes will be adopted by local populations in the way that the US, for example, promotes democracy internationally. 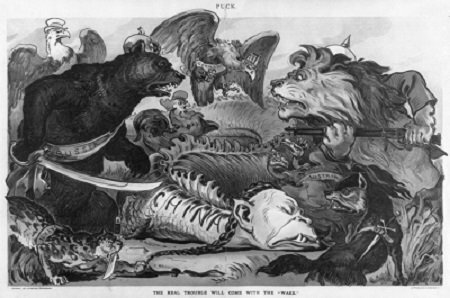 The Chinese government today still considers the ‘Century of Humiliation’ (1839-1949) as an inflection point in the way that China engages in the international arena. Indeed, even today, many Chinese and Taiwanese history books still divide Chinese history into the pre- and post-Opium war worlds. From 1939 onwards, China was thrust into a world whose rules it did not understand and could not control. Consequently, during the 1839-1949 period, China was riven by peasant uprisings which were frequently fuelled by or were partly in consequence to the growing Western presence in China, and by what was viewed as Qing acquiescence to foreign demands. Additionally, the Century of Humiliation led to the ultimate collapse of its millennia-old dynastic system and China’s loss of sovereignty over almost a third of its territory. The Century of Humiliation today remains essential to the way that China interacts with the world. Both scholars and government officials in China still frequently characterize the international system as one dominated by a West determined where the west using the current international framework to block China’s rise. Under this view China needs to be wary of Western intent at all times so that it is never again out-maneuvered and subjugated. Others Chinese scholars feel that China’s progress within the Western built international framework has been so overwhelming that, far from being a tool to benefit exclusively the West and its allies, the current international system is reasonably fair, and has very much played to China’s advantages. Within this framework, China has returned to a position of significant influence and power. Consequently, China should continue to operate within, and to support the current international framework as it has been designed. Other Chinese thinkers feel that China should use its growing economic and political status to bend the international system so it reflects more of China’s values. The Century of Humiliation is also essential to China as it is a fundamental aspect of the nationalism that the Chinese Communist Party has cultivated since it has switched from a command to market economy. The Century of Humiliation is the narrative of China’s subjugation which was exorcised by the Communist Party. From its earliest formation, the Communists gained the support of the Chinese people by creating an image of themselves as willing to fight the Japanese after they invaded in 1931. The Nationalists led by Chiang Kai-shek were often painted as being more focused on defeating the Communists than they were on fighting the Japanese. This narrative helps legitimize Communist Party rule as it reminds the Chinese people that it was the Communists who pulled China from its lowest point, restoring the country once again to its natural place of preeminence. Moreover, the Century of Humiliation is also a discourse used by the Communist Party to deflect foreign criticism of its policies. 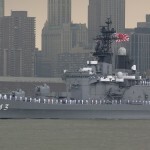 This discourse in effect argues that the West and Japan have always been full of schemes to harm China, and therefore their arguments and actions today still cannot be trusted.